Goalless at half time, the Jambos hit top gear in the second half. 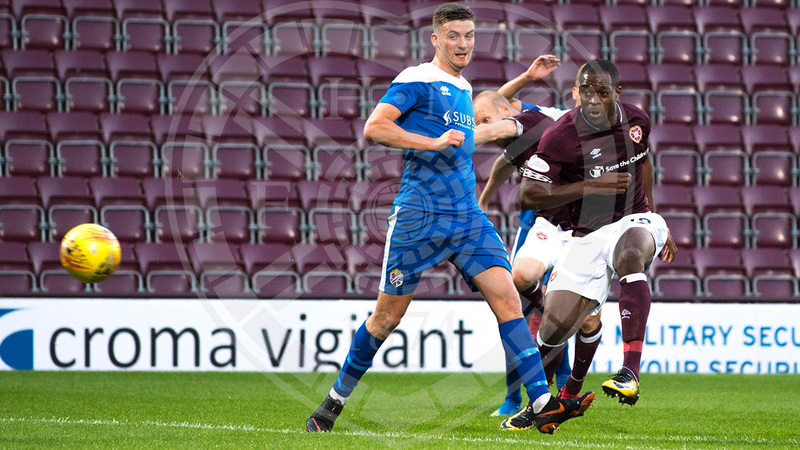 Steven MacLean opened the scoring and Hearts didn’t look back, with Uche Ikpeazu, Steven Naismith, Peter Haring and Michael Smith all getting on the scoresheet. Craig Levein made four changes from the side that drew with Raith Rovers on Saturday. Callumn Morrison, Ben Garuccio, Andrew Irving and MacLean came in, with Jake Mulraney and Olly Lee moving to the bench while Oliver Bozanic and Bobby Burns missed out altogether. 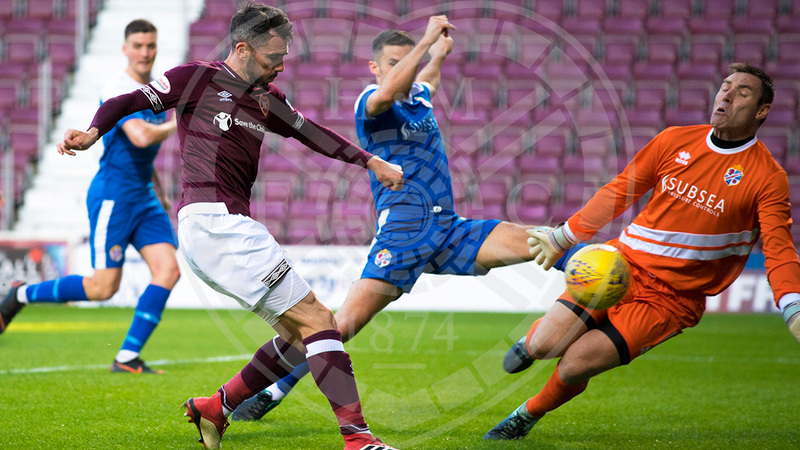 Hearts attacked from the off, with Christophe Berra flashing an effort wide in the third minute, though the ball did take a slight deflection off of a blue shirt. Cowdenbeath defended well and restricted Hearts to chances outside the box. Kyle Lafferty tried his luck from 25-yards after 17 minutes but dragged his effort well wide of the target. Steven Naismith had a penalty appeal turned down in the 20th minute when he connected with Garuccio’s cross and the ball appeared to hit the outstretched arm of David Marsh, but referee Barry Cook waved play on. 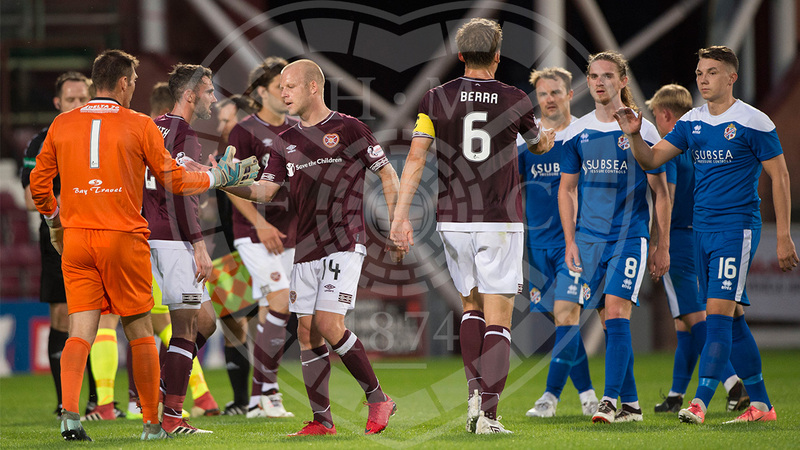 Lightning struck twice four minutes later when Naismith was pushed in the back by Fraser Mullen as he jumped inside the box for Peter Haring’s cross, but again the decision was no. The visitors were reduced to ten men on the half hour mark after Martin Scott lunged in high and late on Berra, leaving the skipper crumpled on the deck. Looking capatalise on the numbers advantage, Hearts made a change before the half was out with Anthony McDonald replacing Irving. David McGurn was called into action with seven minutes of the half remaining, making a smart block at his near post after Michael Smith got on the end of Lafferty’s flick on. The Cowdenbeath ‘keeper produced a stunning save moments later to keep the scores level. Smith’s deep cross into the box was met by Haring, but his powerful header was brilliantly stopped by the left hand of McGurn. The visitors had a chance before the half was out when substitute Jordyn Sheerin robbed Haring and fed Kyle Miller, but his first-time shot from outside the box was easily stopped by Zdenek Zlamal. Hearts took the lead three minutes into the restart. Naismith had all the time in the world to feed the ball out left to Garuccio, and his cross into the six-yard box was chested into the back of the net by the diving MacLean. MacLean was involved as the men in maroon went close again, turning his man before threading through Naismith, but his low shot was smothered by McGurn. It was 2-0 on 64 minutes. Smith’s throw into the feet of substitute Ikpeazu saw the big man turn his marker at the edge of the box before slamming an unstoppable effort into McGurn’s bottom right corner. The goals kept coming, with Haring grabbing Hearts’ third on 73 minutes. He rose highest to meet Anthony McDonald’s corner and power home a header inot the back of the net. Two minutes later, it was 4-0. 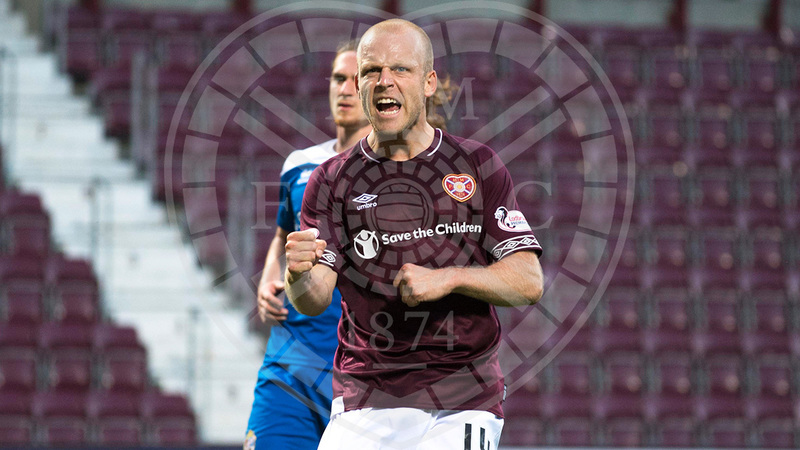 McDonald was scythed down inside the box by Marsh after McGurn had pulled off another great save from Ikpeazu, and Naismith stepped up to nearly burst the net from the spot. It became a rout with nine minutes remaining. Substitute Jake Mulraney skinned his man on the right before cutting back to Smith, who drilled low into the opposite corner from just inside the box. Results elsewhere means a win on Sunday against ICT will see Hearts top the group and advance to the next stage. Hearts: Zlamal, M.Smith, Souttar, Berra, Morrison, Garuccio, Haring, Irving (McDonald, 35' - Mulraney, 78'), Naismith, MacLean, Lafferty (Ikpeazu, 54'). Subs: Doyle, Lee, Hughes, Keena. Cowdenbeath: McGurn, Mullen, Talbot, Pyper, Marsh, Miller (Renton, 57'), Buchanan, Malcolm, Cox (Sheerin, 35' - Swann, 81'), Scott, Smith. Subs: Goodfellow, Gilfillan, Scullion, Muirhead.